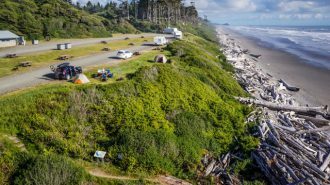 But if you’re just getting on the market to buy a rig of your own, you may be wondering what the big deal is about 5th wheel campers — or how to decide between a towable vs. a motorized RV in the first place. And in the wide world of travel trailers, what’s the benefit of choosing a fifth wheel specifically, and exactly how difficult is it to navigate the world with such a large and powerful piece of equipment? In this post, we’re going to take a deep dive into all things fifth wheels, including all their basic stats as well as more in-depth considerations like how to drive towable rigs in the first place. 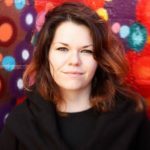 We’ll talk about the unique amenities and luxuries available to fifth wheel campers, and discuss how to get started on your own travel trailer journey. Ready to get started? Let’s hitch up and go! Towable RVs: What Sets Them Apart? Before we get going on the nitty gritty of fifth wheels in particular, let’s talk about towable RVs as a category — and what makes them so different from the self-drivable types of RVs you might be more familiar with, like Class A and Class C motorhomes. 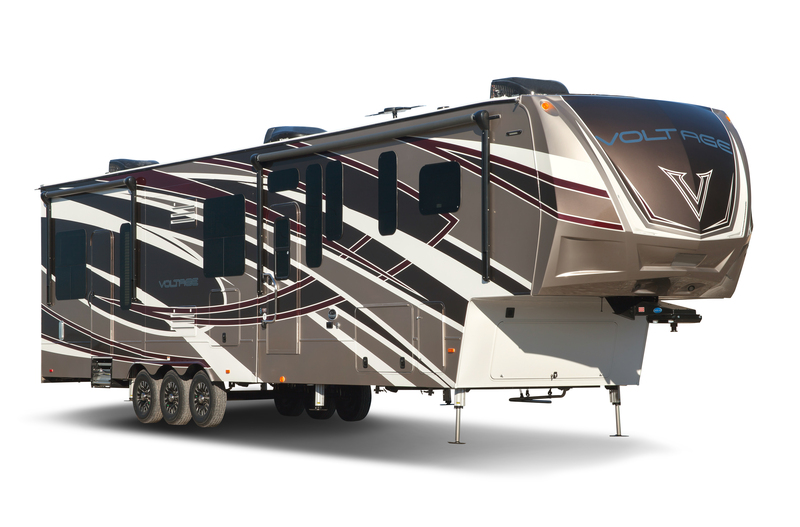 Just like the name implies, towable RVs require a secondary vehicle in order to get them where they’re going, by hauling them. They don’t have motors of their own to get them where they’re going. 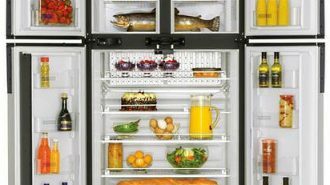 This necessity can be both a boon and a bit of a hassle, depending on your perspective. It also has an effect on the overall price you might expect to spend on your setup, especially if you don’t already have a powerful, tow-capable vehicle. So why might towing a rig, as opposed to getting one where you can simply step in and put the key in the ignition, be beneficial? There are several reasons. Affordability. Since towable RVs don’t have motors, they cost significantly less than their self-powered counterparts. You can find even high-end models available for under $50,000, which is certainly not the case when you’re looking at motorhomes of a comparable size to large fifth wheel travel trailers. Convenience. Although your RV’s comfortable interior might make it tempting to simply while away your time at your destination cozied up on the couch, most of us travel in order to experience new places… and having an auxiliary vehicle makes that a whole lot easier. 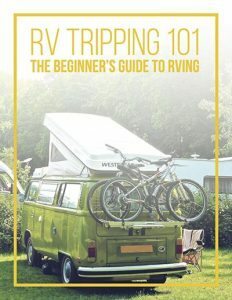 Many motorhome campers end up pulling a small car behind their rig in order to make getting around more possible, often referred to as a “towed” or “toad” vehicle, which can be a hassle, especially behind a large vehicle. Other campers wind up driving their whole RV to the grocery store, or using some other, smaller (and frankly less convenient) way to get around, like a golf cart or bicycle. When you tow a travel trailer, however, you don’t have to worry about any of these options… your “escape pod” is built into the rig itself! 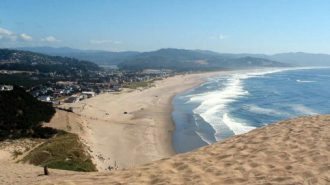 Of course, depending on what kind of trailer you’re pulling, you’re likely to be stuck with quite a large tow vehicle, and driving a one-ton pickup truck in city traffic isn’t always the most thrilling vacation experience. Economy of space. Although it’s certainly an upgrade from traditional road tripping, even in a large RV, space is at a premium. 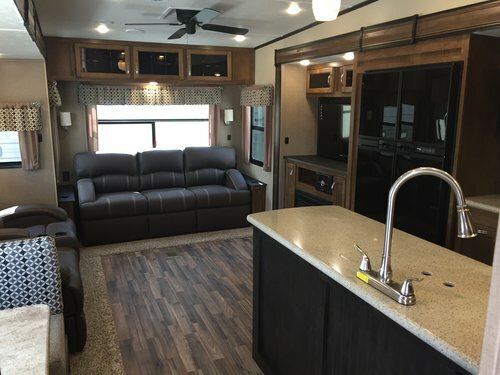 And relative to motorhomes, RVs offer more living space for their footprint — because they don’t have to devote any of their room to an onboard motor or cockpit area. That means your entire family can spread out and feel comfortable, even if you’re traveling with multiple children — and teenagers, who might want the option to curl up in their own space and enjoy some privacy. You’ll also have additional storage space in your actual tow vehicle, which can make a big difference if you’re someone who brings a lot of large adventure gear, like kayaks, skis, or bicycles, along on your journeys. 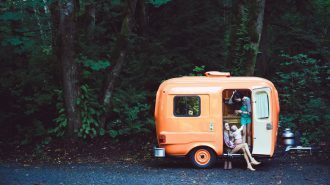 Although there are plenty of good reasons to consider a towable RV versus a self-driving motorhome, there are also a few potential drawbacks or challenges to consider when you’re making your decision. Might not be budget-efficient if you don’t already have a tow vehicle. 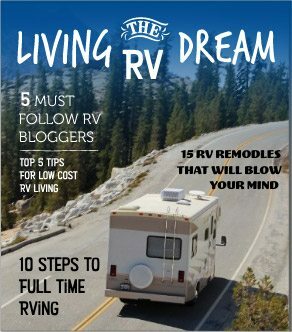 Although towable rigs, including large 5th wheel RVs, are significantly less expensive than motorhomes of comparable size and luxury level, you do need a serious truck to pull them around with — and if you don’t already have one, you could easily be on the hook for another $50,000 or more. Driving a towable rig requires some skill development. Although motorhomes are big, they generally operate in the same way your day-to-day vehicle does. That is, while turns might be wider and it might take you longer to stop, there are no unique physics to understand when it comes to driving a self-contained, motorized recreational vehicle. But travel trailers are towed, which means there’s a great big break in your setup: the hitch. A hitch makes even basic driving operations, like backing up and turning, slightly more complicated — and although it’s not too difficult to learn with a little bit of effort, it does require some learning. Furthermore, as mentioned above, the large trucks required to pull most travel trailers, including fifth wheels, can be a bit of ap pain to drive around small city streets, making them a less-than-ideal way to explore urban destinations. For a more in-depth breakdown of the different types of RVs on the market, including both towable travel trailers and self-powered motorcoaches, click here. 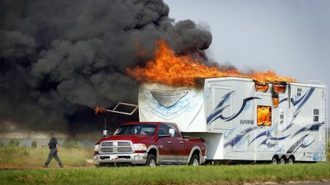 Now that we’ve covered why you might want to look into towable RVs, let’s talk turkey about fifth wheels specifically. How big are they? What kind of amenities can you expect to find inside? What’s the average price point? Although “small” fifth wheel trailers do exist — or at least, relatively small ones — these travel trailers are all about serious size and comfort. In fact, when you include slide-out space, large fifth wheels are the biggest travel trailers on the market when it comes to interior living space. To that end, 5th wheel trailer lengths start around 21 feet and extend to over 40, and their prices run from a little over $15,000 to well over $100,000, simply depending on the size and level of luxury you choose. 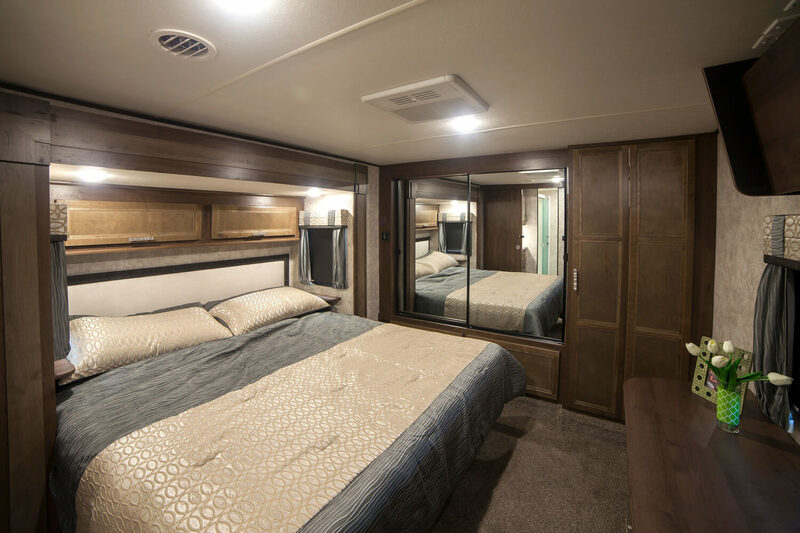 Most fifth wheels are fully enclosed trailers, and feature many of the same luxury amenities you might expect to find in a comparable Class A motorhome. As mentioned above, they frequently come with slide outs to increase the interior living space even more, and they features you’ll find within are often of the highest caliber and quality. 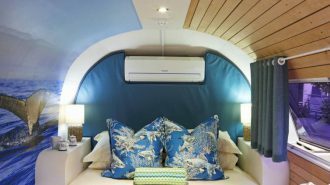 Fifth wheel trailers might have full-sized kitchens complete with standard amenities like stoves, ovens, and even dishwashers; some fifth wheels have separate master bedrooms, bath tubs, ample closets, and even extras like washing machines. 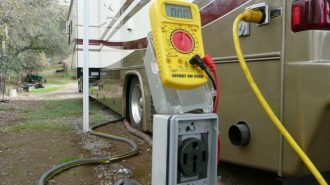 Fully functional onboard plumbing systems with holding tanks as well as generators to make off-grid camping easier are fairly standard, particularly on newer models. As with other types of RVs, they come in a wide range of footprints designed to suit different family scenarios and camping needs; with fold-out dinette sets and other compact sleeping arrangements, a large fifth wheel might comfortably house as many as eight adults. 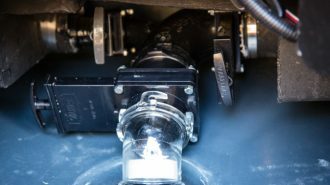 There are a few specific RV parts that go along with towing a fifth wheel trailer that you might not be familiar with if you normally drive a motorhome — or even if you’re used to other, smaller types of towable rigs. 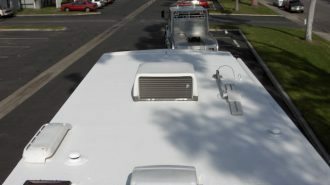 For instance, the fifth wheel hitch is a unique type of connection that necessitates the use of a large pickup truck, and attaches the trailer to the tow vehicle in the bed of said truck. 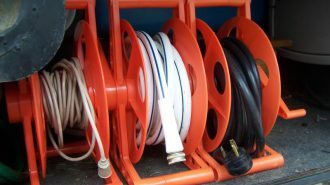 There are a wide variety of different types of hitch adapters available on the market, each with its own drawbacks and benefits. 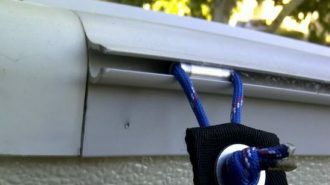 Newfangled “slide on” hitches are particularly popular these days, since they make it much simpler to attach your rig quickly and easily. 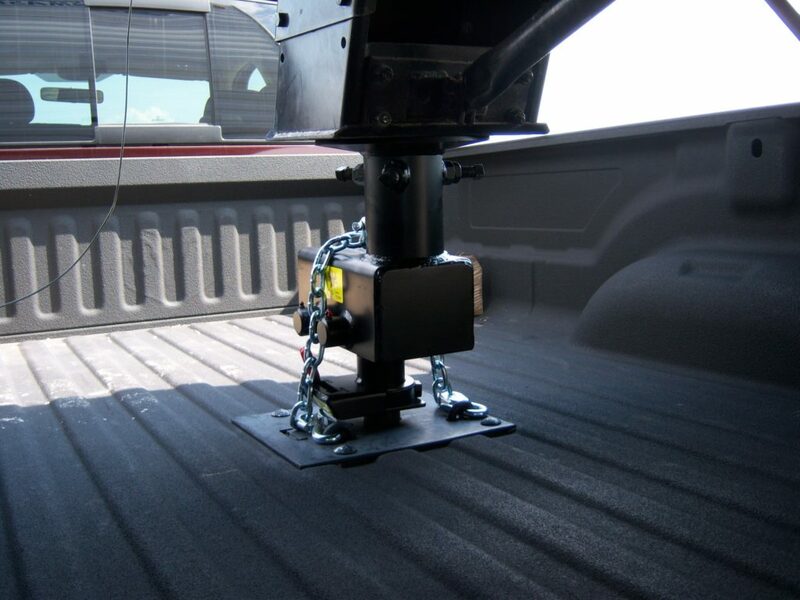 Hitches are offered for specific trailer weights or types, so it’s worth shopping around to find the right one for your vehicle. For the best information and help finding the best trailer hitch for your rig, visit your local camping supply store. To recap, here are the basic stats of fifth wheel travel trailers. But when it comes to bang for your buck, it’s hard to beat the fifth wheel, which offers unparalleled living space at the lowest available price points on the market (at least when compared to motorhomes of similar sizes). Especially if you already have access to the one-ton truck you’ll need to pull it, a fifth wheel allows you and your family to really spread out and get comfortable during your camping trip, which can be especially important if you’re traveling with older children who’d benefit from maintaining some privacy. Imagine coming back from a long day of exploring the great outdoors to cuddle up on a plush leather sofa in front of a big-screen TV — or create a gourmet meal in a full-sized kitchen. You could even entertain guests, serving up freshly made meals on your large kitchen island, all while other members of the family might be enjoying time to themselves in a totally separate bedroom. In short, when you travel in a fifth wheel trailer, it’s fairly easy to forget you’ve got wheels under your feet. In many cases, they feel just as nice (and sometimes nicer!) than the sticks-and-bricks home you left behind for vacation. So if you’re looking to experience the super-glamping style of camping, a fifth wheel may just be the most accessible way to do so. 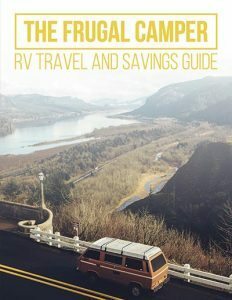 Obviously, even an affordable travel trailer is a pretty serious investment for most of us, costing tens of thousands of dollars. 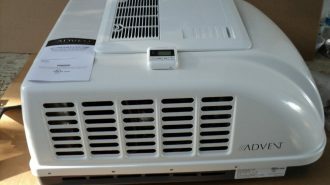 It makes sense that buyers want to ensure they’re getting the very best product for their money. While some brands are better known than others, the truth is, it’s hard to say there’s such thing as the “best” fifth wheel camper. 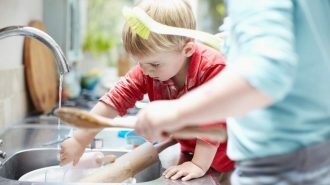 Rather, there are a huge range of vehicles available at different amenity levels and price points, and which one’s right for you and your family will depend on your needs and intended usage. For example, if you’re a weekend warrior looking to spend just a few days in the woods each year, a lower-cost fifth wheel is a great way to take advantage of your down time. 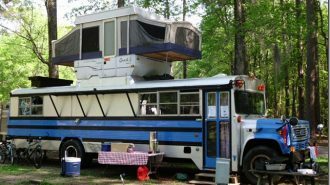 And if it’s just you and your spouse, or if you’re a solo traveler, a smaller rig might make more sense than a great big 40-footer… though if you want that extra room to spread out, you’re certainly able to find it. 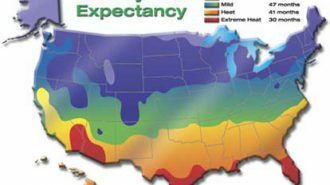 On the other hand, if you’re considering taking to the road full time or you’re bringing along a great big family on multiple vacations, you’ll want to be sure you purchase an all-seasons vehicle designed for heavy usage and cold-weather camping. 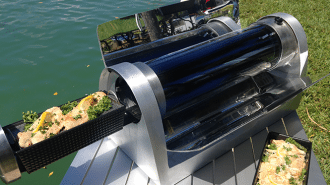 But no matter which end of the spectrum you and your camping party falls into, there are a few specific, well-known manufacturers to keep an eye out for. Coachmen is one of the best-known RV manufacturers on the market, offering vehicles across a broad range of types and styles and including both towables and self-driving models. Despite their low cost, these RVs offer impressive build quality, making a reliable rig accessible even to campers who are buying their first RV or looking at the entry level. Their fifth wheel brand names include the Chaparral and the Brookstone, and come in a variety of different floor plans and sizes. Click here to explore their products and customize your own Coachmen fifth wheel trailer directly from the manufacturer. Forest River RV is another manufacturer which crats rigs across a wide range of different styles, including a large number of brand names and a promise of products fit for every type of camping experience. Their fifth wheels in particular are acclaimed for their diversity of size and setup, and the vehicles also represent a large spectrum of price points, making them accessible to shoppers no matter their budgets. Check out the full range of Forest River RV fifth wheels by clicking here. Open Range fifth wheel trailers are a line made by Highland Ridge RV, and are particularly well-known and sought after. Marketing themselves for the “camping connoisseur,” these towable rigs combine spacious interiors with surprisingly low tow weights. They feature wide-body construction, which means you’ve already got more room to roam, as well as outsized slide outs of a whopping 42 inches. Their amenities are chosen for both form and function, offering style as well as reliability in the kitchen, bathroom, bedroom, and elsewhere. This is just a very small sample of the huge number of fifth wheel trailers available on the market from a sprawling diversity of manufacturers. Click here for a more comprehensive list of RV manufacturers creating fifth wheels and other types of towable and self-driving rigs. Although online research can certainly help you narrow down your search, the very best way to figure out which type of travel trailer is right for you… is to travel in one. Which leads us to our next topic. To be certain, it can feel like a lot to take on to drive such a large vehicle — especially when you have to deal with that pesky break in the middle, thanks to the tow hitch. As many benefits as towable rigs bring to the table, there’s definitely a learning curve when it comes to figuring out how to drive them, even if you’re already comfortable with other types of large vehicles like moving vans and motorhomes. But although it might take a second to master, fifth wheel towing isn’t really any more difficult or dangerous than other types of driving once you get the hang of it. You’ve just got to develop a keen awareness of your size and pay attention to the other drivers and road obstacles around you… and, of course, deal with the regular challenges of towing, like learning which way to turn the wheel when it’s time to shift into reverse. 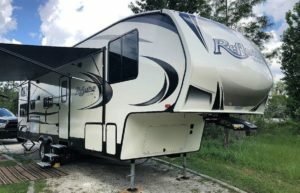 One of the best ways to get started on developing your skills is to explore the world of fifth wheel rentals — that way, you’ll have plenty of opportunities to try out this particular method of camping before you take the plunge and purchase your own. Of course, anybody who’s looked at the commercial RV rental market knows that finding rentable fifth wheel travel trailers is no easy feat, especially if you’re sticking with the large, nationwide franchise dealerships. And it makes sense. For the average RV renter, motorhomes are much simpler; even if you’ve never driven one before, it doesn’t take much more effort than sticking the key in the ignition and setting off. That makes self-contained, motorized Class A and Class C coaches an easier sell for big companies trying to do as much business as possible. Many RVshare owners also offer their fifth wheel travel trailers for rent, though you may have to provide your own tow vehicle. Not only will you score a better deal than you might if you managed to find a fifth wheel trailer for rent elsewhere, but you’ll also be riding around in a rig that’s actually vacationed in and loved by its owners — i.e., one with a whole lot more character than the fresh-off-the-lot vehicles so often offered at large rental dealerships. Although it might seem counterintuitive, used fifth wheels are often actually better than their brand-new brethren. That’s because sometimes, there are manufacturer defects and other little snags a vehicle is “born” with, so to speak. When they roll off the factory floor, there’s a breaking in period of several thousand miles during which you might find these little quirks and need to correct them. 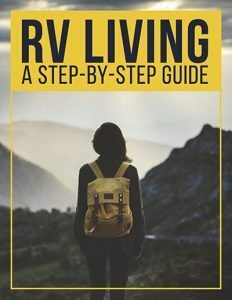 But when you rent from an owner who actually uses their RV for their own vacations, chances are it’s already going to be well seasoned… and ready to show you exactly how amazing this travel style can be in the long run. No matter where you’re headed or what corner of the country you’re starting from, chances are there’s an RVshare vehicle out there to help you see the world in exactly the way you want: with all the comforts and conveniences of home. To browse RVshare vehicles available in your area, click here, and select the filter for towable RVs to help you find fifth wheel campers specifically. Already past the trial stage and ready to buy a fifth wheel of your very own? Exploring the wares at RV shows and expos is one of the best ways to see as many different vehicles as possible… and you’ll also benefit from the competitive prices that come with a multi-dealership atmosphere. To explore upcoming opportunities near you, check out our archive of RV shows organized by state. And once you’re there, be sure to take your time with your walkthroughs and ask plenty of questions — here are some specific things to keep an eye out for while you’re examining a potential rig, and here are some topics to bring up with your dealer. 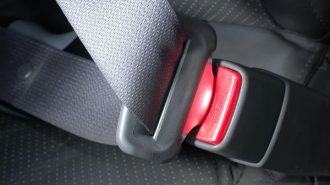 Most importantly of all, and regardless of whether you’re in a rental vehicle or your very own home-away-from-home on wheels, have fun out there! Although, with such a capable and comfortable RV to hunker down in (and such a big, beautiful world to discover), we doubt that’ll be much of a challenge. We’ve also got tons of helpful content to make your trips as smooth and simple as possible — here are a few to help you get started if you’re a total beginner.